Roxy came to me with a picture of a dress that she loved. 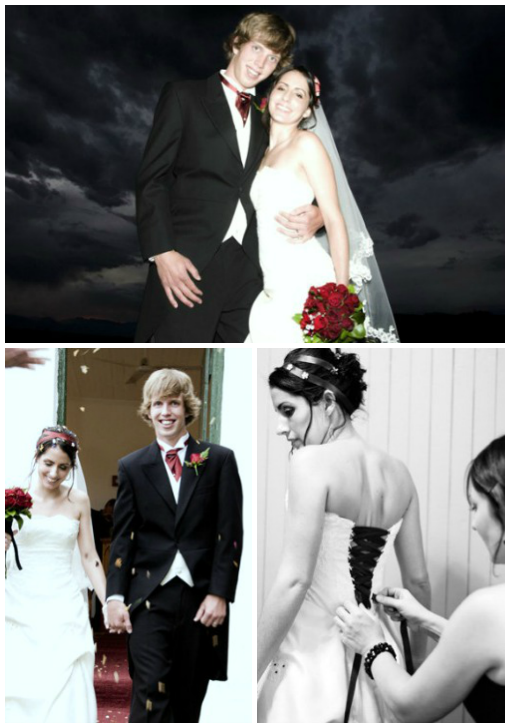 We used that reference as the basis of her dress, adding details that made Roxy's dress unique ... in particular including some colour to her dress (wine red to match her colour theme) by using colour crystals to embellish the lace appliques and a colour sash for the back lace up. 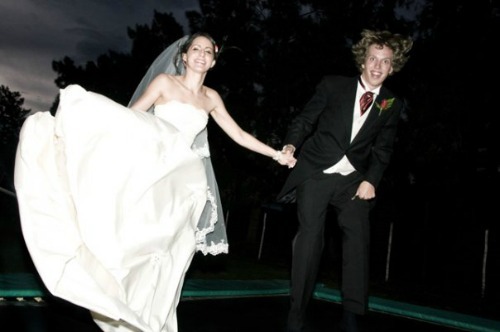 Don't you just love the playful photo of the happy couple on the trampoline? Would you make use of colour in your wedding dress? Or are you a 'neutrals' person?